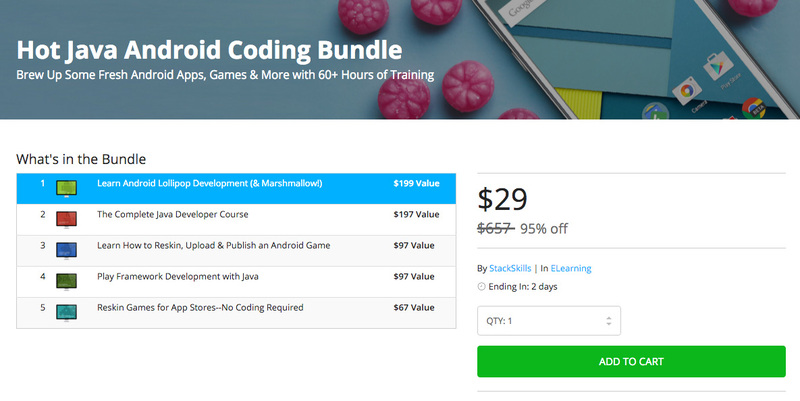 Developers, need some new training bundles to help hone those skills in Java or through any of the 500+ eduCBA training courses? If so, we have a bunch available today on the DL Deals store with an extra 25% discount in celebration of Cyber Monday. Use code “CYBERMONDAY25” at checkout to get these prices. The rest of the eLearning courses can be found at this link. You will get the 25% discount on them all, not including the “Pay What You Want” deals.